I am a big believer in eating breakfast every day, but some days – okay, most days – I do not have time to prepare, let alone sit down to eat a full breakfast. In our home, breakfast is something we all do at separate times based on what time we have to be at work, school or wherever else for the day. I find myself constantly searching for healthy breakfasts that taste good and are easy to eat on the run. Finding something that meets all three of those criteria in the same package can be difficult! Vitalicious VitaTops meet all of these requirements for me and my whole family as well! My husband and I are usually okay with eating healthier items that don’t really taste all that great, just because they are providing the nutrients and vitamins that we need. My son however only cares about the taste. That is why he is the true taste tester in our home. If I give my son something healthy and he actually likes it, you know it is really good! My son said that his favorite was the Triple Chocolate Chunk VitaTops. I really loved the Banana Choco Chip VitaTops the best, with the Golden Corn VitaTops coming in a close second. My husband enjoyed the VitaBrownies most of all. I found all of the samples to be moist and filling. I love how easy they are to prepare – Since they have no preservatives, VitaTops are stored in the freezer. To eat, you simply microwave for a few seconds, toast in the toaster, or you can even eat them frozen! My family loved VitaTops and we were thrilled to find that the Vitalicious brand can be found in many of our local grocery store freezers! We have added these yummy snacks to our weekly grocery list, and I feel great about it. VitaTops make a great breakfast or snack and there is sure to be a flavor that you will love. You can purchase your own Vitalicious Brand products in local grocery stores, or online at http://www.vitalicious.com/. 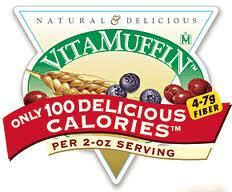 One lucky winner will receive the Super Sampler pack from Vitalicious to try! Visit Vitalicious, then come back and tell me which flavor you would like to try most! Tweet about this giveaway! 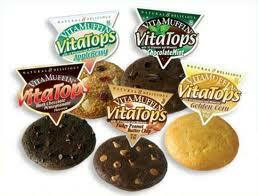 (Leave your Twitter name and a link) You can tweet this daily: “ Vitalicious giveaway at Opinions of a Moody Mama #giveaway @coopersmommy @vitamuffin http://tinyurl.com/7xoxye8 "
I liked Vitatops on FB. 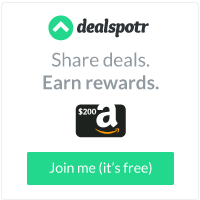 I entered the Pajama Shoppe giveaway. I would like to try the Golden Corn or the Pumpkin Spice. I entered the Umi shoes giveaway. I entered your pedi sox giveaway. I would most love to try the dark chocolate pomegranate flavor! Daily vote at picket fence blogs for 5/30! The dark chocolate pomegranate sounds interesting! I LIKE Vitalicious on Facebook. ID: Lynda C.
I love Pumpkin Spice so that's what I'd try. Thanks for the opportunity. Google + under Carol Luciano. Entered the Candle Warmers giveaway. I'd love to try their apple crumb flavor! I Follow Opinions of a Moody Mama on Google+ - Joanne Schultz . I Like this post on Facebook -Joanne Schultz. i follow Vitalicious on twitter - js22222222 . i follow Opinions of a Moody Mama on twitter - js22222222 . daily vote on picket fence. I would like to try Golden Corn the most! I like Vitalicious on FB too! I entered your Mommy bus giveaway. I entered your Candle Warmers giveaway. I entered your End of May Twitter giveaway. Dark Chocolate Pomegranate VitaBrownies yum.. I submitted a daily vote to picket fence blogs. I entered your Lego prize pack giveaway. I entered your JW Pet Toys giveaway. I'd like to try Chocolate Mint VitaTops. I would like to try the deep chocolate flavor. The Apple Crumb vitatops look great!